They make safety a lot more accessible for those working in industrial environments. When one considers the potential hazards associated with mining, construction and manufacturing, it is vital to ensure that feet are protected at all times. 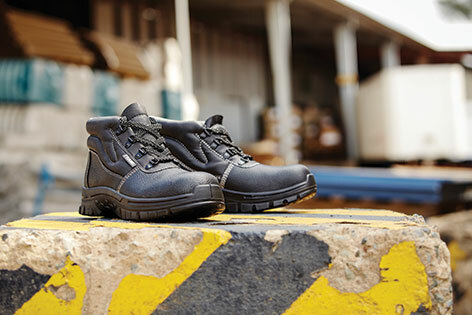 PU shoes are perfect for use when operating heavy machinery, working in unpredictable conditions. They are durable and dependable. The way polyurethanes are made means that they can withstand constant use in many conditions. This proves helpful when working in industrial environments every day. They are comfortable. When polyurethanes are made, a chemical reaction happens that causes the production of millions of tiny air bubbles. These bubbles form a cushion that supports the sole of the foot, creating a cradle of sorts. This ensures increased comfort; making long working hours spent standing or walking a lot easier to bear. They offer great antistatic properties. PU is a great material to lessen the risks of static build up. This is useful in industries like mining, construction and manufacturing. They protect feet from solvents. Chemicals, oils and acids are a concern in industrial workplaces. Mistakes happen and spills are regular occurrences. The right safety footwear manufactured with PU can help to lessen spill-related injuries. To see if PU is a suitable please see the Chemical Resistance Table on the Frams website. They offer stability. Soles manufactured with PU offer increased stability in the workplace, especially where mud, water and solvents are involved. Think less falls and more productivity! Safety should be a priority in any workplace. That’s why Frams PU Dual Density Sole Range offers the benefits of PU and more, giving our customers affordable safety they can trust.